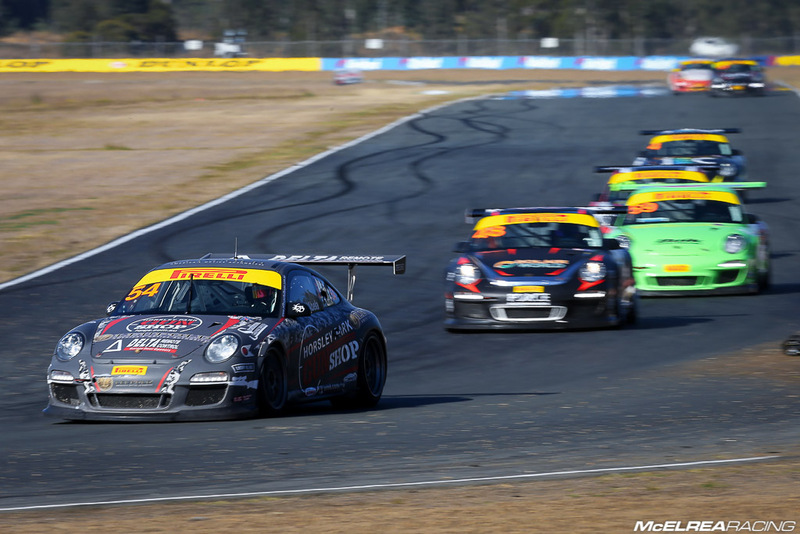 We always look forward to our home events and most of our GT3 Cup Challenge drivers had tested at Qld Raceway only a few weeks before this round so we were pretty confident of some decent results. 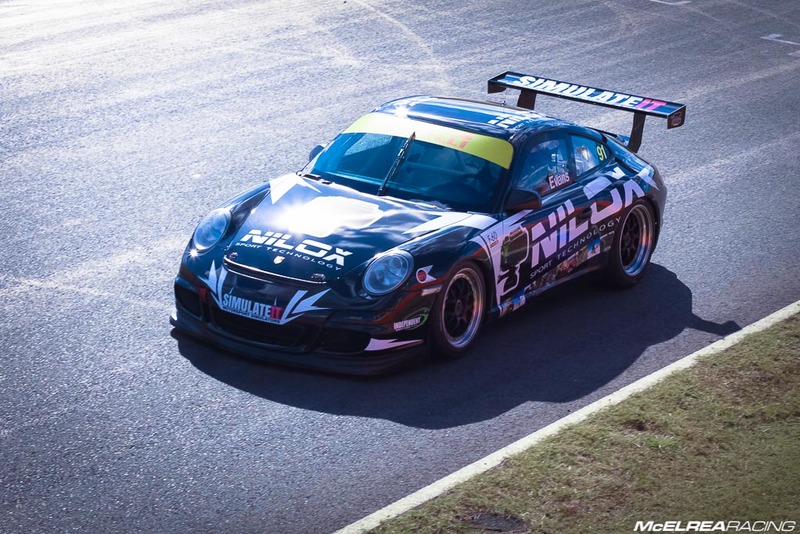 It’s been busy at MR HQ with the team doing a massive amount of work since Townsville preparing the six GT3 Cup Challenge entries as well as the six cars we will be running in the Australian GT and the Porsche Carrera Cup at Sydney Motorsport Part in a weeks time. We were especially piqued as we also came into this round with James Abela being equal first in the Jim Richards Trophy ‘Championship within a Championship’. Jaxon qualified 2nd in ‘B Class’ which by his own (very high) standards was frustrating for the young gun. We made a couple of minor tweaks to Jaxon’s car and a did bit of ‘driver whispering’ for Saturday evenings race. In the race he closed the deficit and traded fastest lap times and virtually the same piece of track with title challenger Aaron Seton for the whole 40 laps. A bold attempt on last corner around the outside and onto the finishing straight was very nearly successful enough to win. In race 2 Jaxon had a great start and raced amongst the A class cars to comfortably win ‘B Class’. In race 3 he once again raced with the faster ‘A Class’ cars and drove with extraordinary speed and confidence to finish 8th outright and four places ahead of Seton. Like Jaxon, Tim was also dissatisfied with his qualifying position, 7th outright and 2nd in his (Elite) class. In the twilight race 1 enduro he had an exciting race with the usual Elite class suspects. There was contact with John Goodacre after a particularly energetic passing manoeuvre from the bold MR driver which saw him finish in second. 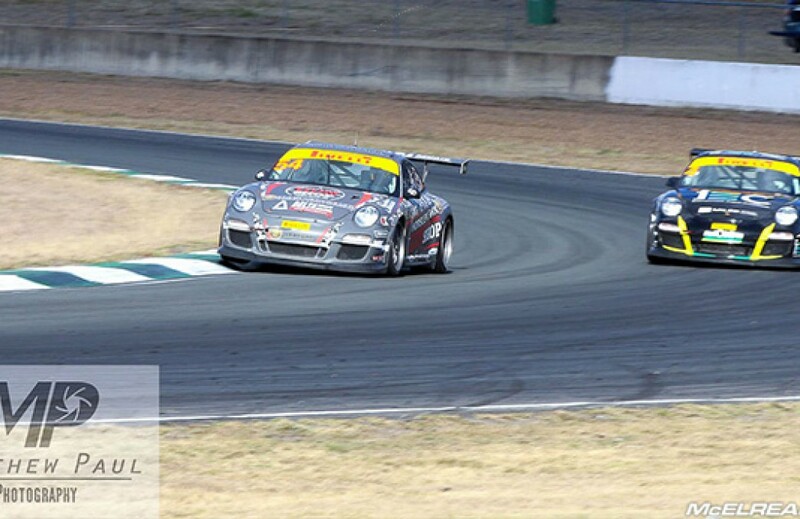 In race 2 he had a relatively uneventful (but successful) race to again finish 2nd in ‘A Class Elite’. In race three Tim finally nailed one of his famous demon starts to launch from row 3 to 3rd on the road holding his position for the first 5 laps. He drove one of his best races of the season to finish 4th outright and comfortably win the ‘Elite’ class. James qualified 3rd putting him on the second row for the 40 lap endurance race. In the race, he had great dice with O’Keefe and withstood huge pressure from Jon McCorkindale for most of the race. The result of finishing ahead of McCorkindale gave James the win in the 3 round ‘Jim Richards Trophy’ championship. 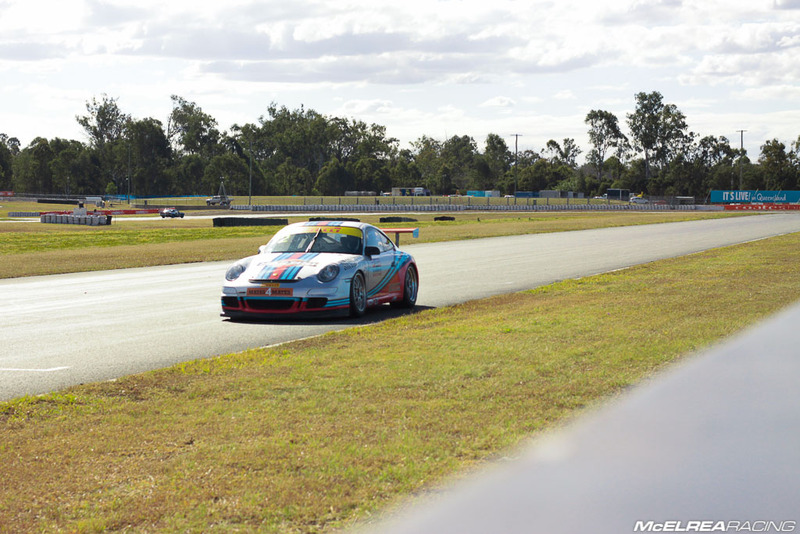 In race 2 James was penalised 5 seconds for allegedly jumping the start, but along with leaders Simpson and O’Keefe, he drove away from the rest of the field. Such was his pace that he finished with over a 5 second gap to 4th so the penalty was did not change his position in the race. In race 3 he had to overtake a fast starting team-mate Miles, then paced himself perfectly to pass title challenger O’Keefe for second on the penultimate lap to finish-off an outstanding weekend for the rookie. Jim’s continued improvement was impressive again at QR. 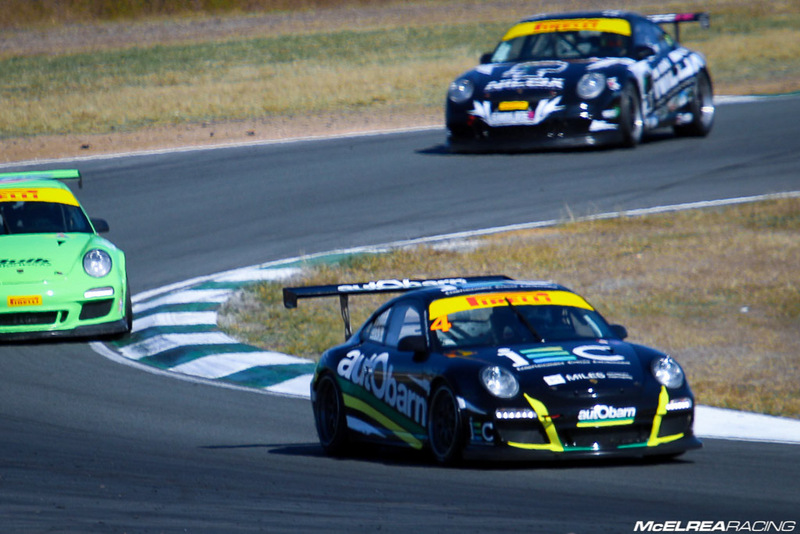 Like Eastern Creek, he had a great dice with team mate Sparksey in race 1 with the blowtorch (or headlights in this case!) on Grant’s rear bumper for 38 of the 40 laps. Towards the end of the intense battle, Jim made the most of a small slide from Sparksey’s car to pounce on him for the pass on lap 39. After Sparksey’s departure, Jim had a quiet race 2 and was only passed by the vastly more experienced John Trende to finish 4th. In the final race, Jim made amends by getting around Trende and drove very well to pull up 3rd behind ‘B Class’ young-guns Jaxon Evans and Aaron Seton. Simon did a fantastic job in qualifying to qualify 6th outright, 5th in ‘A Class Pro’ and 2nd fastest MR driver which is comfortably Simon’s best qualifying performance since joining McElrea Racing. In the 40 lap race he didn’t quite continue the outright pace from qualifying but learned plenty racing in the twilight. In the Sunday sprint races he made continued improvements in race-craft to finish 6th in ‘A Class’ in race two. In race three we worked on getting Si up-to-speed a few laps sooner than normal and continued to push him to driver more assertively in racing situations, which is certainly improving and rewarding the effort from Simon and Fastway Racing. Grant did a great job to qualify 4th in B class. In the 40 lap enduro on Saturday evening he resisted intense pressure for the whole race from team-mate Jim Campbell until a small moment on the penultimate lap let Jim by for the ‘B Class’ podium position. There was plenty of good natured ribbing between the two prior to race 2, unfortunately Grant didn’t get the chance to usurp Jim as his car grazed the fence at turn 3 on the second lap putting him out of the race with a damaged a radiator. 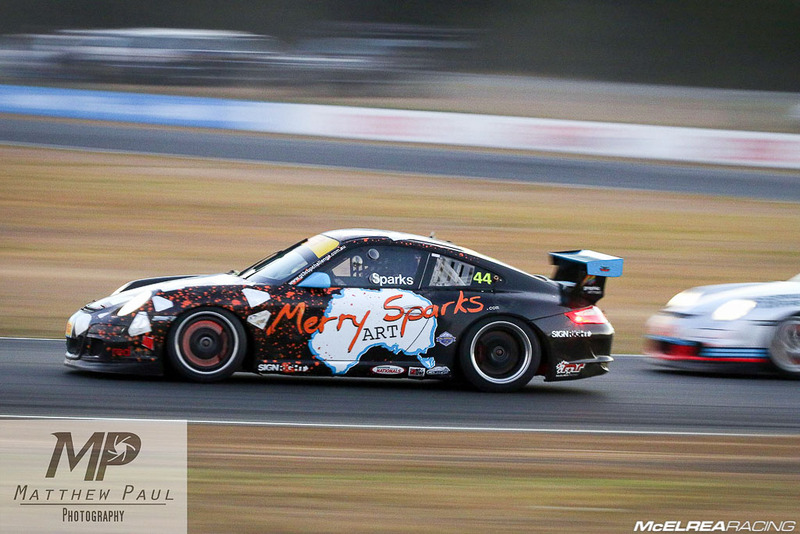 The awesome MR team got the car back together for race 3 but unfortunately a clip holding one of the other radiators slipped off and Sparksey had the retire from the race. This round boasted 23 entries and was the most competitive round of the Championship so far this season. We are very proud of the MR drivers managing to collect a total of five trophies across the weekend. 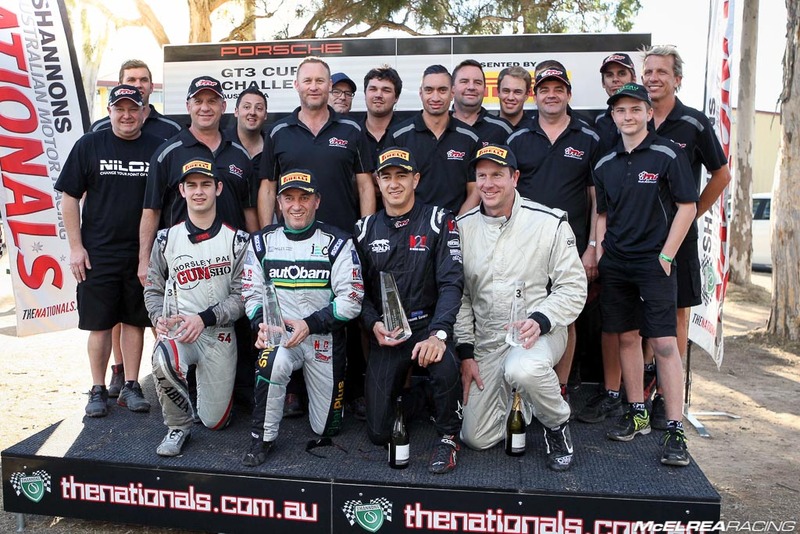 Notably James securing the Jim Richards Enduro Trophy and 3rd in Pro Class, Jaxon winning B class, Tim second in Elite class and Jim Campbell’s first trophy in GT3 Cup Challenge for his impressive third place in B class. It is always nice to have success at your home track which is never as easy as it sounds! Many thanks to the sponsors, family, friends and supporters of the MR drivers and of course the awesome boys and girls from the MR family. 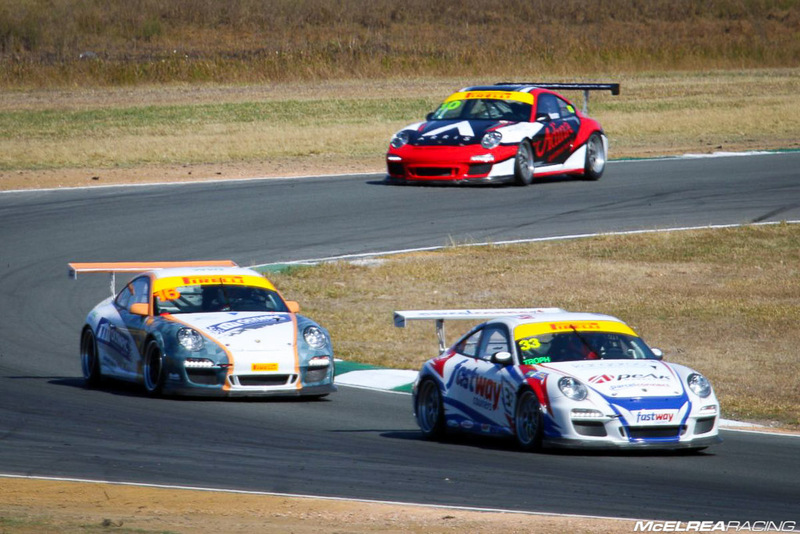 Next stop: Sydney Motorsport Park for the Australian GT and Carrera Cup on 21st of August.